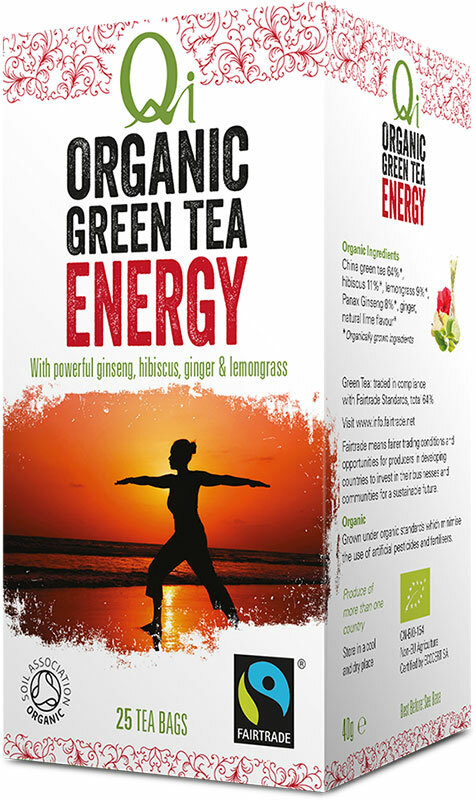 Energise & rebalance with ginseng, and zesty ginger, lime and hibiscus. Energise and rebalance with powerful ginseng, mixed with zesty flavours like ginger, lime and hibiscus – you’ll find it a delicious morning ‘wake up’. Ginseng has been used for centuries in the Far East to restore and re-energise a tired mind and body. Rather than giving you the jitters though, like caffeine, ginseng is used to calm the nervous system and invigorate your core Qi energy. 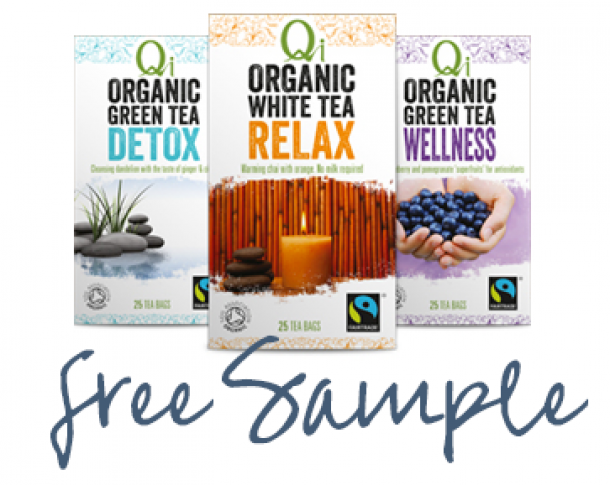 Qi Energy Tea is in a naturally mellow and sweet tasting green tea base so there is no need to add milk or sugar. This tea is not recommended during pregnancy or breastfeeding. Ginseng is not recommended during illness, but can be taken after illness as a restorative drink. – or your money back. "Qi tea is all I drink now. I don't even have my cup of coffee first thing in the morning - it is the best tea that I have ever had."